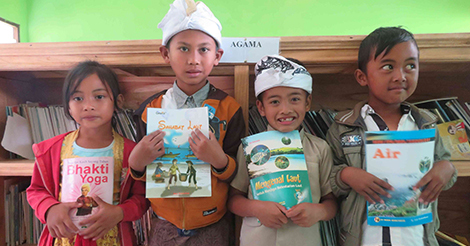 Funding a library in Bali is as rewarding as it gets. 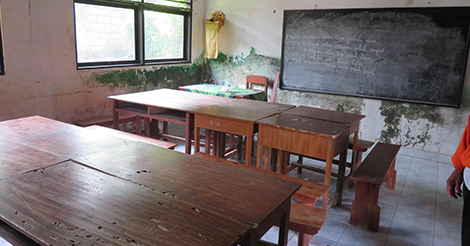 Renovating, supplying and training schools is one of the best ways we can support literacy in Bali. 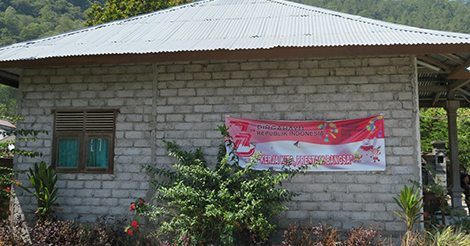 Funders are invited to see the projects upon completion. Whether you are a school, business, teacher or individual just wanting to do a good thing, our ‘fund a library’ program is open for funding. You can see our whole list of schools currently in need, waiting for you to transform literacy. 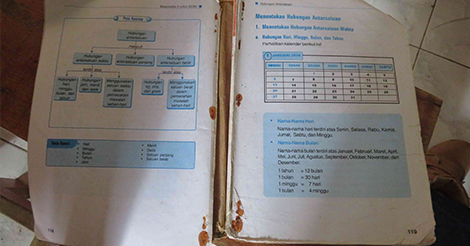 See below, or find out exactly why Bali needs more libraries here. 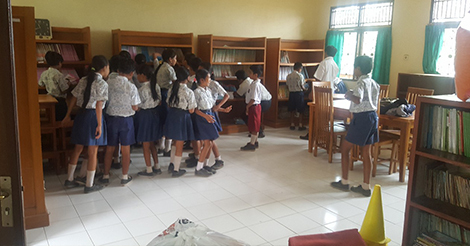 After books and furniture were purchased by donor Bridget, SDN 9 Bondalem had children queuing up to read. Previously the library only had old, boring text books. 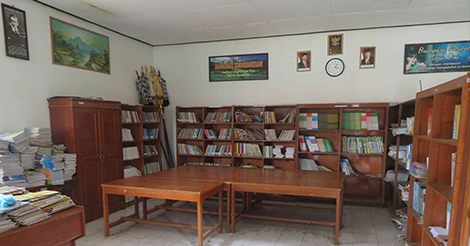 The school has kept the library well so it never needed renovation. However, it still needs some support. 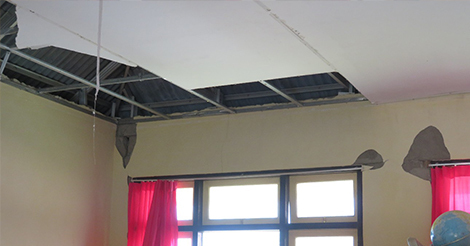 Remaining works are to fix the broken ceiling, paint a new mural and add more books. 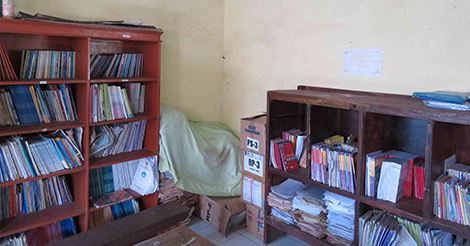 Located near to Batur Lake on the hills of Batur Volcano, SDN 1 Buahan’s library is in woeful condition. 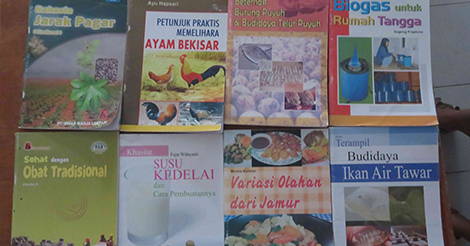 The majority of books are plain text, document style, or class workbooks. The building itself was only ever half complete – 3 walls were not finished and there was never a ceiling. 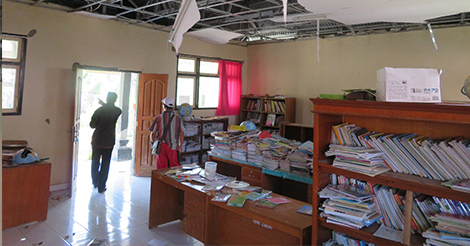 Despite this, the children and headmaster are proud of their library and clean it every day. 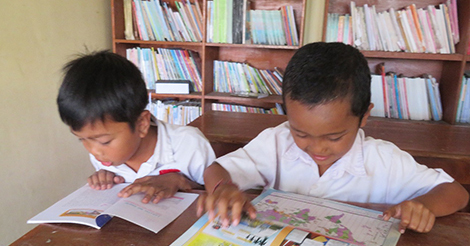 They are deserving recipients of a new library, if we can find the donations. 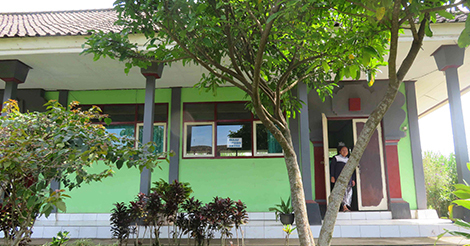 SDN 2 Buahan is some distance from the first Buahan school. 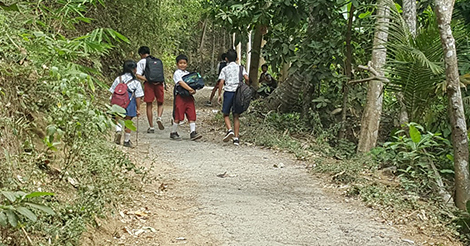 Up in the mountains, most of its 78 students walk to school. 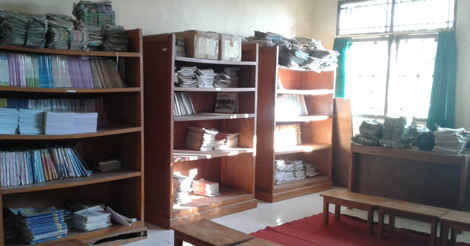 While their library has lots of books, it is still not in good condition. As you can see the ceiling is falling in and it is extremely dangerous. The inside walls are crumbling too, due to the original building using poor quality materials, so a full replaster and paint is needed. 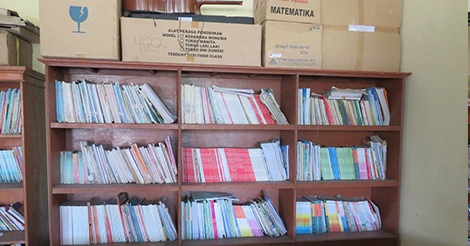 There isn’t much to say about SDN 2 Marga’s library except that it needs a complete overhaul. Everything in the library is decades old. Furniture is eaten by woodworm, books are as boring as could be. Many books were printed in the 1970s – so almost 50 years old! 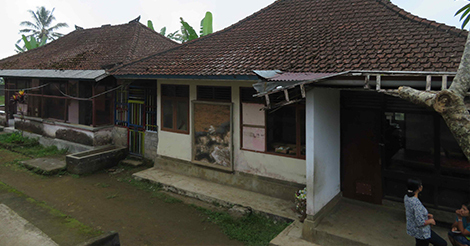 The building is hardly usable and needs renovating, a ceiling and a new roof. Of course it will also need a full compliment of supplies, furniture and books. 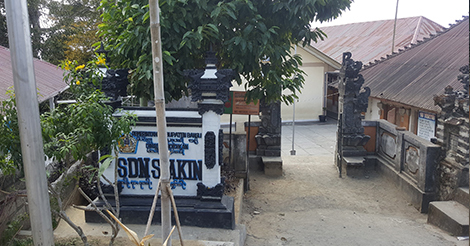 With 220 students, SDN 1 Siakin serves a rural community of farmers. Siakin’s library building has been used as a classroom due to high attendance. There is an unused teachers building that has never been in operation. 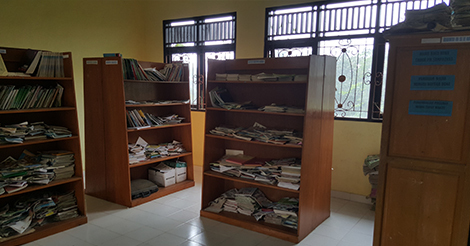 With several small rooms, it can’t be used as a library yet, but if we renovate, we can add a brand new library/learning centre. 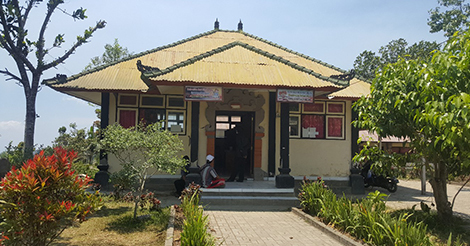 Julah is located in one of the hilly villages surrounding Singaraja Bali. The existing library has little order and nowhere to sit. 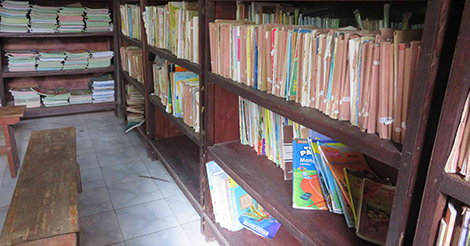 The books are typical of many libraries – heavy in text, without colour and not appropriate for elementary students. 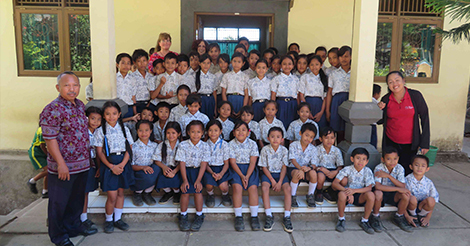 After we helped another school nearby, SDN 3 Senganan appealed to us for help too. 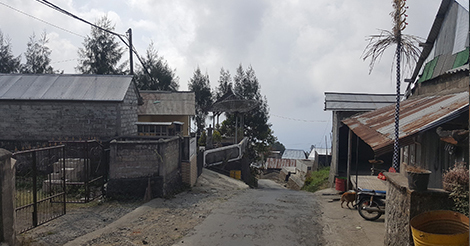 Their school is over 40 years old and the community has already tried writing proposals to renovate the crumbling buildings, but with no luck. 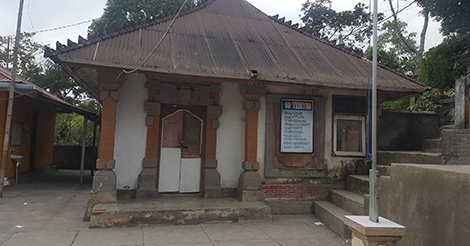 The library at Gelagah Lingah was never properly completed. It is a very basic build, with no ceiling, a roof that could collapse and an awkward layout. 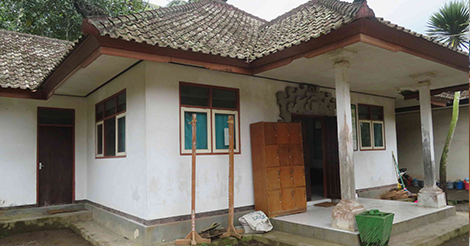 This whole building needs a full renovation, which can cost up to $15,000 usd. 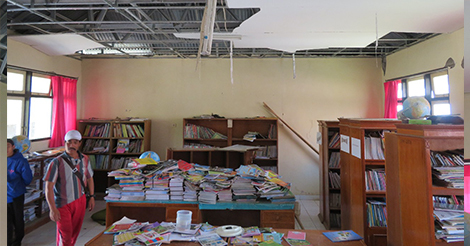 Peninjoan is an unusually large elementary school, that suffers from the same problem as others – a poor building condition and old, worn out books/furniture. 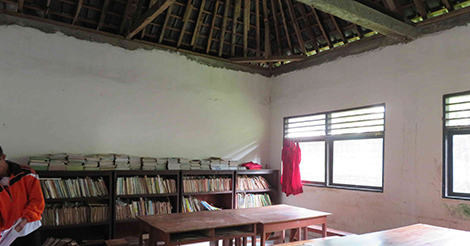 This building has become a storeroom but we aim to renovate it and return it to glory as a library. It needs renovations to the roof, windows, walls and floor. 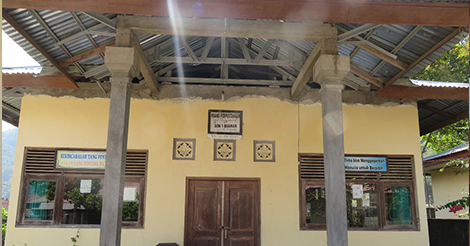 Kayu Bihi’s building needs some remedial repairs to its ceiling, window frames and doors, but in general has a strong building. 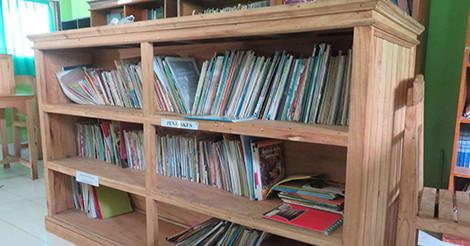 Providing new books, painting, murals and furniture can turn this into a large wonderful library for the 225 students. 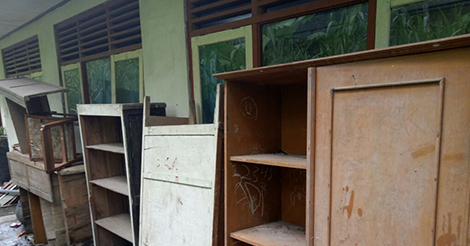 At first glance, Dharma Jaya Library seems to be in so-so condition. It has bookshelves with full of books. 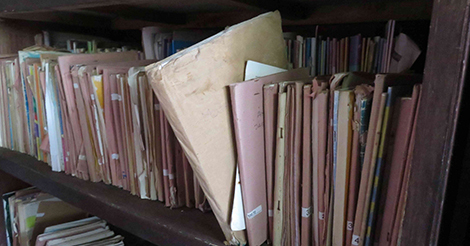 A closer look reveals that these books are mostly old lesson books and old books. And above all, most of them are not interesting to attract children to read. Despite this, the children still have willingness to come to the library even the books are boring.